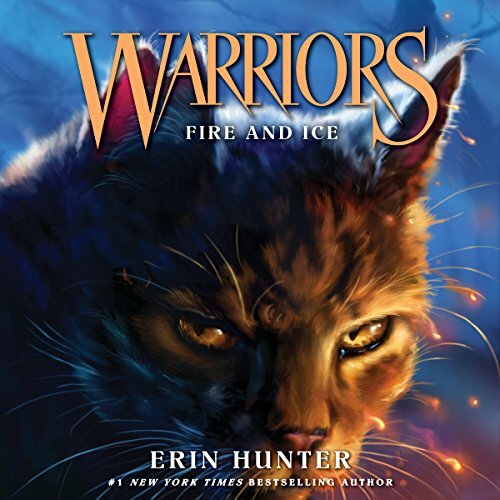 Join the legion of fans who have made Erin Hunter's Warriors series a best-selling phenomenon. More thrilling adventures, epic action, and fierce warrior cats await in Warriors #2: Fire and Ice. Deep in the heart of the forest, four Clans of warrior cats coexist in uneasy harmony - but uncertain times are upon them, and dangers threaten the precarious balance of the forest. Fireheart is a ThunderClan warrior now, but his troubles are far from over. The cats of rival RiverClan grow restless while WindClan is weak and faces threats from all sides. Now Fireheart faces not only imminent battle but betrayal from within his own Clan. I've read people complaining about Grey Stripe's lisp but I thought it was fine. I don't find people with lisps in real life annoying and I'm glad that kids hear a warrior with a lisp. Lots of people have speech impediments and some are friends of mine. I encourage people to get over it. I was surprised how much I got into the story. I looked forward to driving my kids to school so I could hear what happened next and I had to resist skipping ahead on my way to work. We've developed some great inside jokes/references. The books are great! The voices are great! I think that you should write more books like this! Greystripe's voice slightly annoys me but these audiobooks are rekindling my love for the Warriors series. I like it because of the fact that it’s full of action for everyone.It’s so cool. loved it...now I can relate to my granddaughter when she talks about it. shes read every one of the series. I've loved Warriors books since they first came out. Being able to hear them rocks! I loved it and it cool but scary my sister loved it I loved it to.